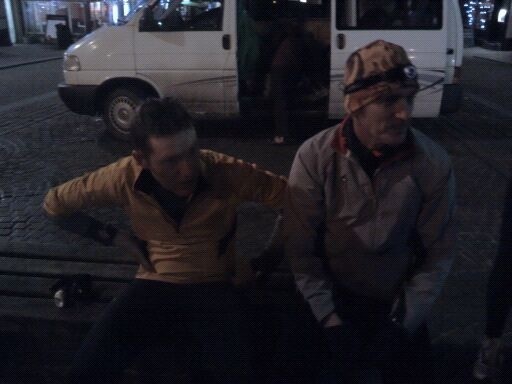 Sadly Rich was forced to give up during Leg 3 around Langdale due to knee problems, but Dave completed the whole round. "You'll never be a British Champion unless you do two legs of a Bob Graham Round" Mark Roberts with Mike Fanning. Mark was Leg 2 helper and enjoyed it so much offered to run Leg 5 with Dave too. The dogs led the way. There were dogs on each leg of Dave's round - Dog Graham round? 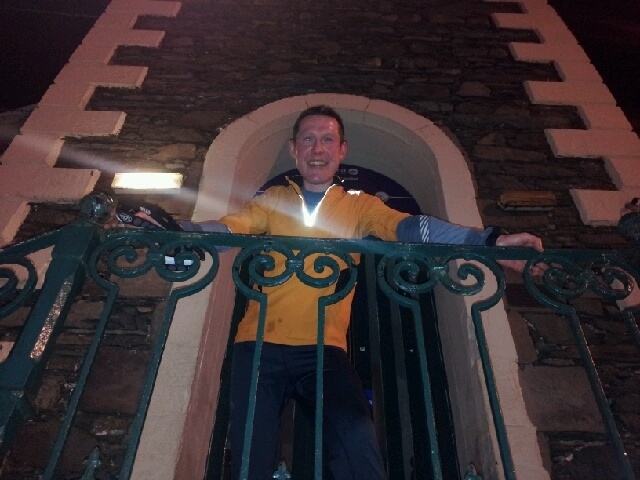 Off they go - "can we sort the dogs out please, she's supposed to be our leg 5 pacer"
Dave Ward from Pennine Fellrunners arrived back at the Moot Hall in Keswick at 7:02pm, 23 hours and 2 minutes after setting off. make me want to do one now. Is it possible to do so without the training?